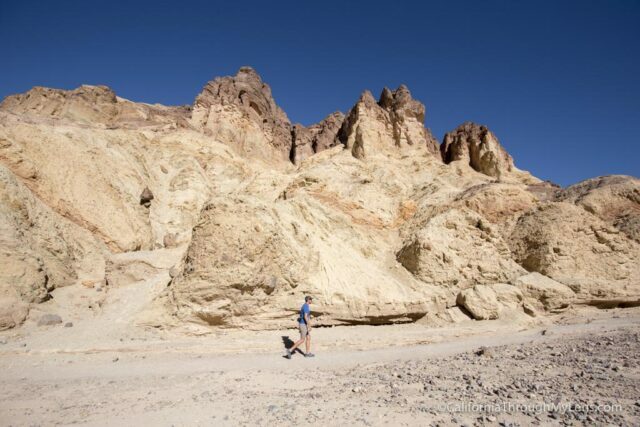 The most popular hike in all of Death Valley National Park is the hike through Golden Canyon. 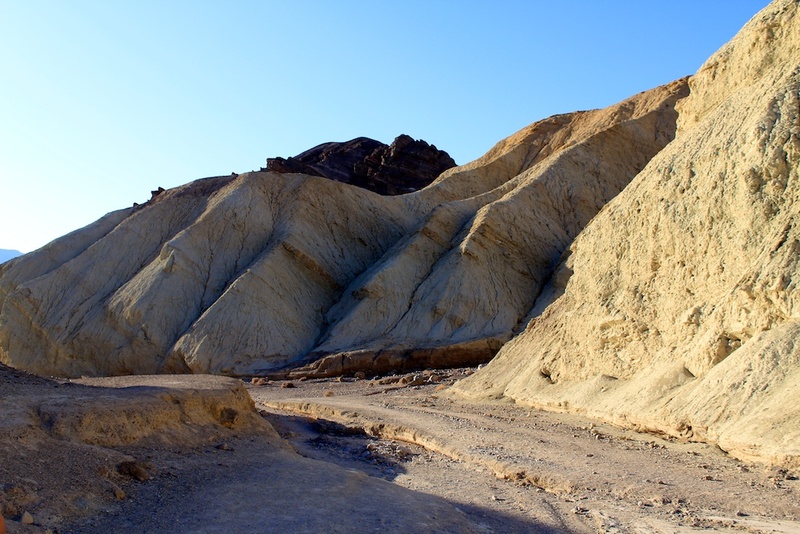 At a little over 3 miles round trip, depending on where you stop, this hike gives you a great view of the unique beauty Death Valley has to offer. 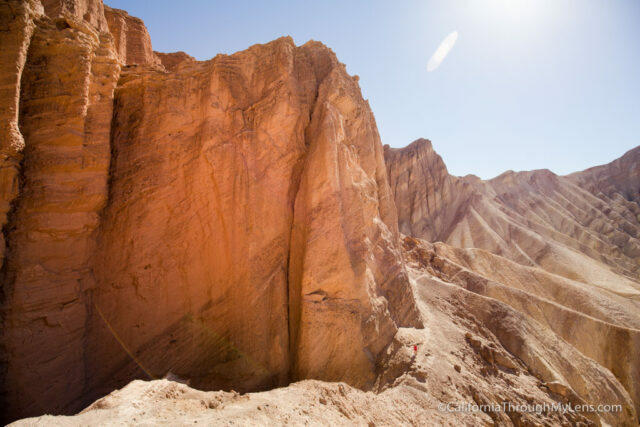 It has gaping canyons, massive boulders, waves of plantless terrain and even a large red rock called the Red Cathedral at the end. It is also the site where different parts of the original Star Wars movies from George Lucas were filmed, if you are interested in this make sure to check out this site. 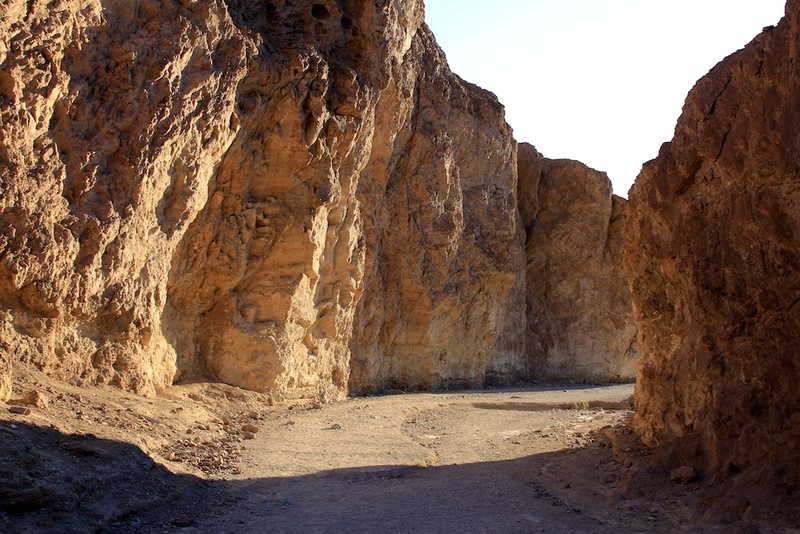 The parking lot is located right off the main road and is about ten minutes from other attractions such as Artists Palette and the Natural Rock Bridge. 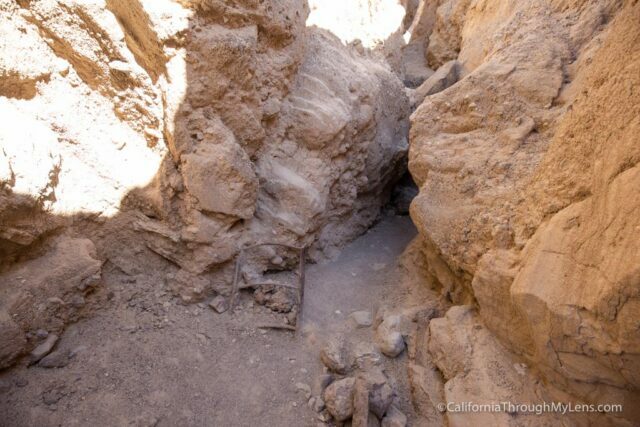 It is one of the easiest hikes to find in the park, so you shouldn’t have too much trouble getting there. If you are coming from Furnace Creek, then the parking lot for it is about 1o minutes South. 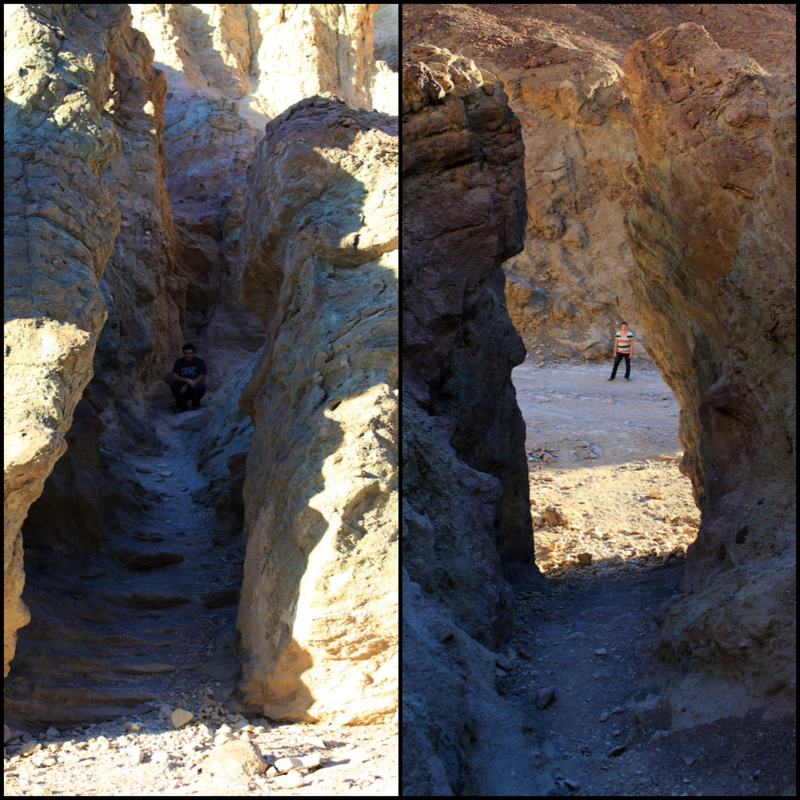 The hike itself is a beautiful and easy walk up through a canyon. That being said, it is relatively uphill the entire time, so make sure you bring a lot of water if you are hiking in any type of heat. The park offers a trail guide that you can pick up for 25 cents at the beginning of the canyon, but you can also see it on the park’s website here. 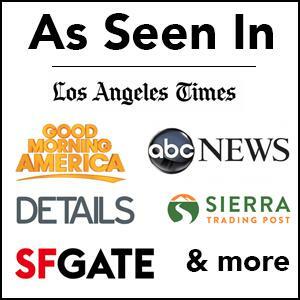 This guide is worth picking up though as it tells you a lot of information about the differing landscape you are looking at with associated number markers during the hike. 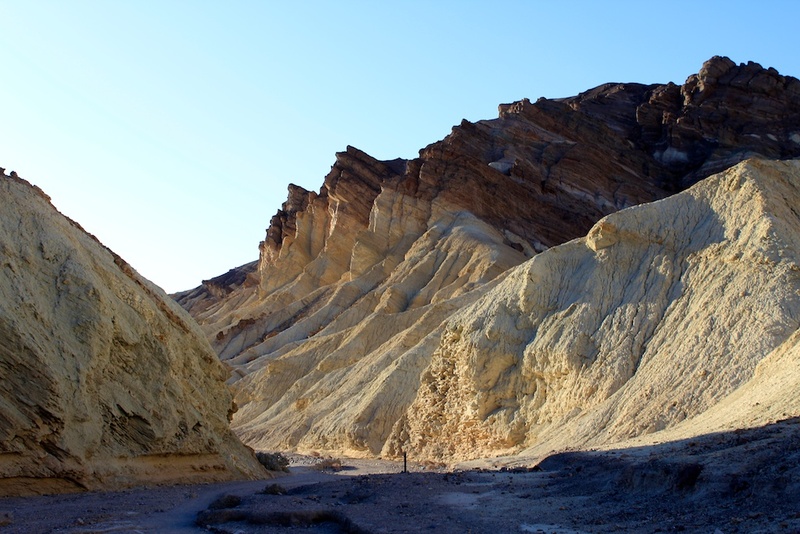 The entire walk is beautiful as literally every 150 feet or so the landscape changes slightly to reflect a different aspect of Death Valley. 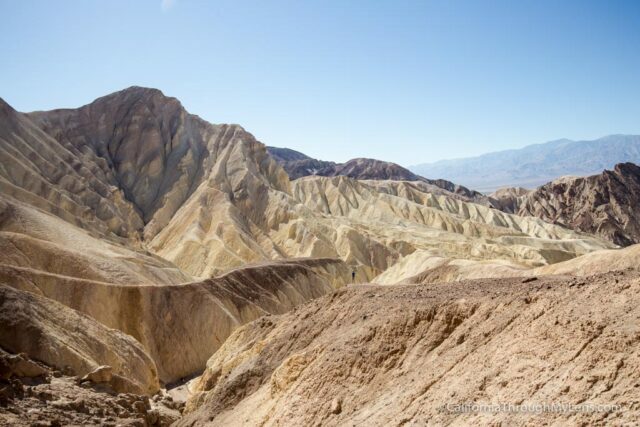 The official end of this hike is one of two places, either Zabriskie Point or the Red Cathedral. I went to the Red Cathedral, and that is what I would recommend for most people. The last half of a mile to the Red Cathedral continues the uphill walking through the varying canyon widths. The redness of the rock gets more and more impressive as you get closer. As you near the base of the cathedral you will need to start scrambling through a shallow piece of canyon as you continue forward. This requires a little ducking, but it should not be too much for most people. The trail then ends at the base of the Red Cathedral where you will see what looks like old dry waterfalls from centuries ago coming off the massive rock itself. 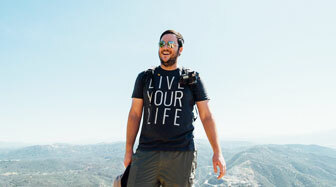 I walked up a small hill to get a better view (above) before making my way back down the canyon. I didn’t do enough research to know there were Star Wars locations on this hike, but when I was there, I met a couple of guys that had print outs of the scenes and were making their way through the canyon trying to mimic the scenes. They showed Amie and I one of the locations, so we snapped a couple of pictures. I would recommend checking out this site though if that is the reason you want to go as they will show you all of the locations. 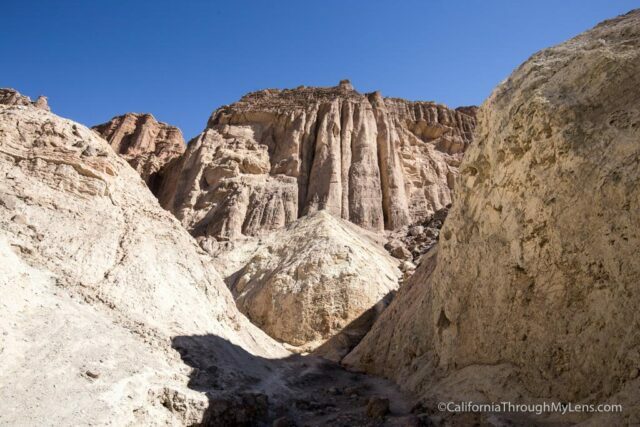 I enjoyed my time in Golden Canyon and would highly recommend it on a Death Valley trip. 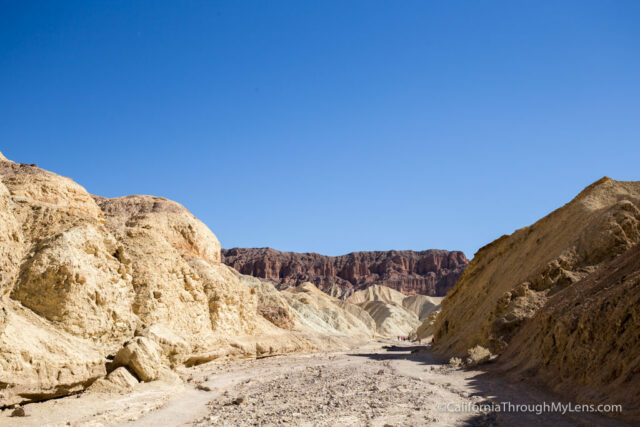 Let me know what you think about this hike and others in Death Valley by adding a comment and getting directions below. Here is a video I made of 24 hours in Death Valley as well.